If I had a dollar for every time I have been approached by, or honked at during the past 10 days, with strangers saying “I saw you on Oprah,” I would have enough money for many tanks of gas for The Kindness Bus with enough left over for a T-bone steak for Bogart. 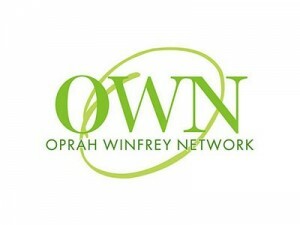 We have been featured on the Oprah Network for the past 10 days with a 60 and 90 second spot on the “In Your OWN Words” segment. Even though it isn’t the Oprah Show per se, there is still an unbelievable “Oprah effect.” Who knows, maybe a phone call will come before the end of her incredible run. What a great way of ending a talk show with promoting a goal of One Million Acts Of Kindness for every child in the world. Thank you to everyone for helping to promote this much needed cause. ***The 7,400 mile, 6 month Kindness Bicycle / Kindness Bus Tour to raise awareness for Domestic Violence and Childhood Sexual Abuse begins its journey in twenty-five days. This entry was posted on Wednesday, April 20th, 2011 at 2:31 pm	and is filed under Kindness. You can follow any responses to this entry through the RSS 2.0 feed. You can leave a response, or trackback from your own site. Hi bob I did not see your spot on the oprah network, because i don’t get that channel. A very warm congradulations to you on the spot and the publications of bogarts book scratch him behind the ears for me. I met you awhile ago at something you did at ashland university. I still think of you and am trying to be as kind as i can. what are you going to do with your bus while on the bike tour?